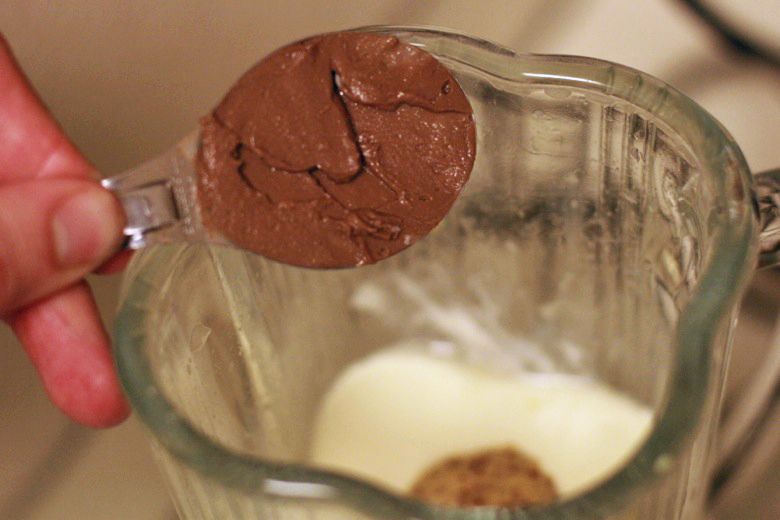 Time is flying: We're already into the fifth week of the six-week Six Ingredient Challenge! How's it going for you? Amy and I posted our answers to the fourth week's writing prompt, and the linky there is still open for you to link up your posts about the joys and challenges of the Six Ingredient Challenge. Remember to post your answers to the fifth prompt sometime before Thursday. Even if you didn't start the challenge with us on February 1, it's not too late to sign up and join in now! Today I'm bringing you a guest post from Sam, who's been happily experimenting to craft us new condiments that fit the rules of the challenge. 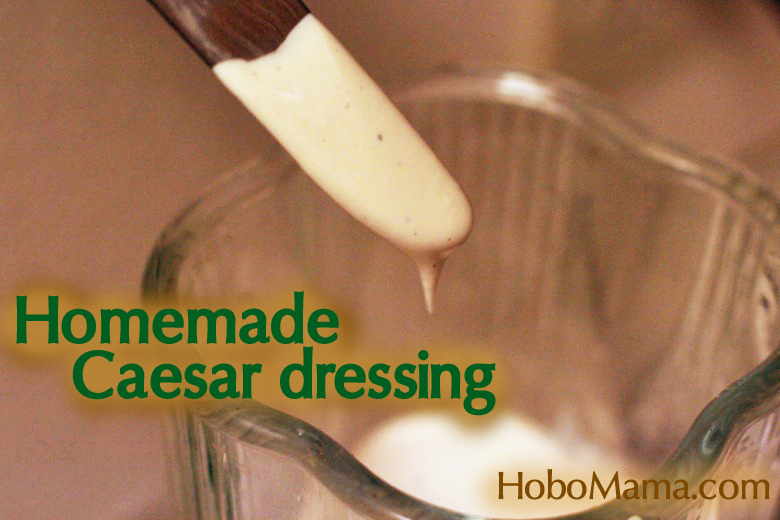 He's sharing an easy recipe for making homemade Caesar salad dressing. It can be nearly impossible to find any store-bought salad dressings — particularly creamy ones — with six ingredients or fewer, and when I've looked at the nutrition labels of store-bought creamy dressings, Caesar in particular, they have a lot of questionable ingredients, like soybean oil as mock-dairy. By contrast, this healthier version of a favorite dressing uses a light-tasting olive oil as a base and works for traditional salads or any mix of veggies, as well as a tasty dip or creamy topping. To be clear, there's no cream — the rich texture is a result of the emulsion of oil and egg yolks. The dressing has more than six ingredients itself, but it fits the rules of the challenge as a homemade concoction because the individual components are all six or fewer and are whole foods-based. You'll just want to check on the individual ingredients you've got on hand. 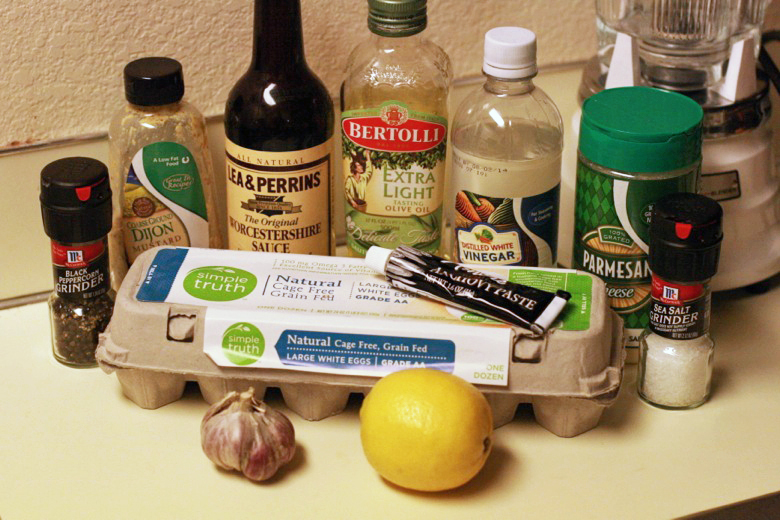 The versions we have of Dijon mustard and Worcestershire sauce are mostly vinegar and spices, but Worcestershire sauce traditionally has one or more sweeteners as well as anchovies, and some alternate versions will contain soy or wheat, so look for brands that have ingredients you can live with. Anchovy paste might not be something you usually have on hand, but it's easy to find — check near the canned tuna and other fish. In fact, you can buy and blend tinned or fresh anchovies instead if you'd rather, though a tube will store easily and last you for more than one round of dressing. 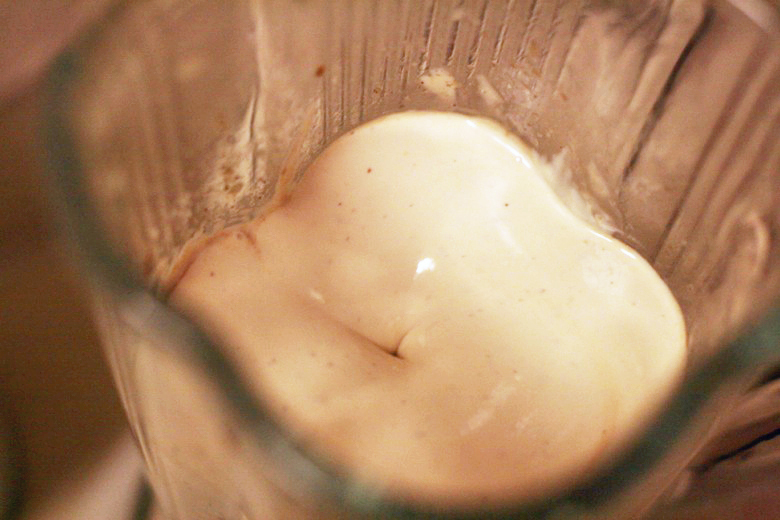 I've always been a little wary of attempting mayonnaise or salad dressing from scratch because I've heard you have to be careful about the oil/egg mixture separating on you, and I dislike tossing out an entire batch of anything. It turns out to be quite simple, though, and according to some of the recipes from which I cobbled this together, having your liquids mixed with the yolks before adding the drizzled oil makes it more-or-less idiot-proof (something science-y about emulsification). 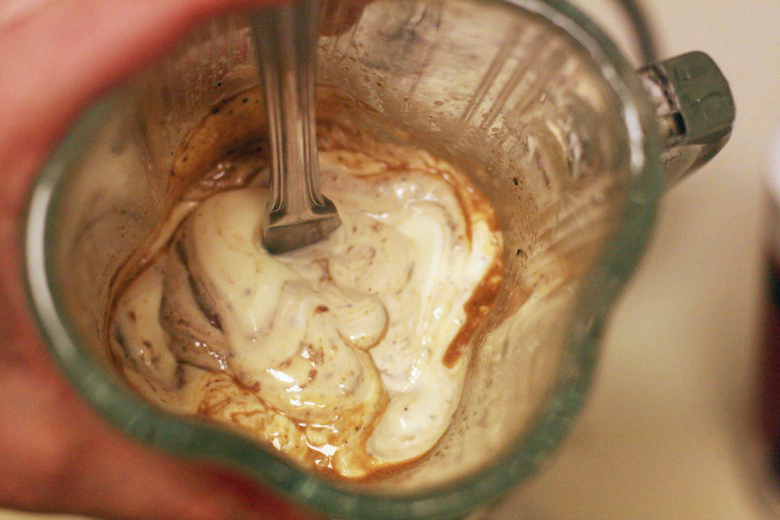 You can make this in your food processor or blender; the final result is just about 2 cups in volume. Gluten-free and grain-free, though check the labels of your Worcestershire sauce and mustard carefully for hidden surprises. Contains fish and eggs. Substituting vegan Worcestershire sauce and leaving out the anchovies will affect the depth of taste but can work fine for vegetarians. For dairy, Parmesan cheese is optional; a nice substitute for the same texture is a small amount of celery seed. 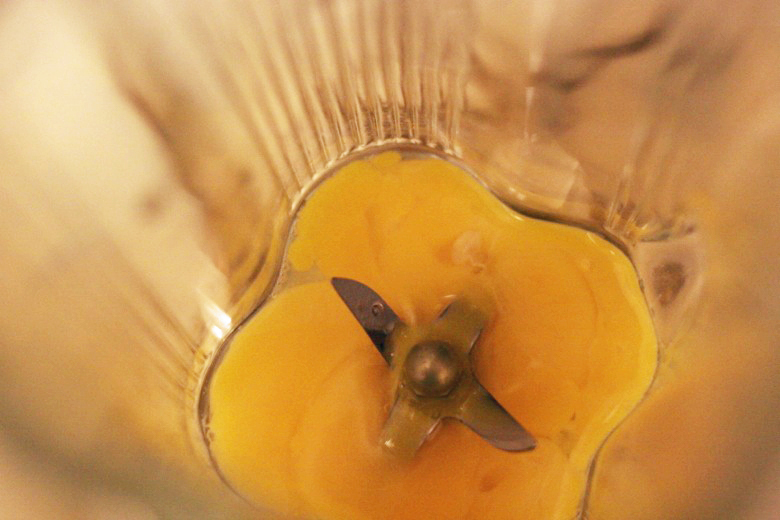 1) Add yolks, water, vinegar, and lemon juice to the blender. 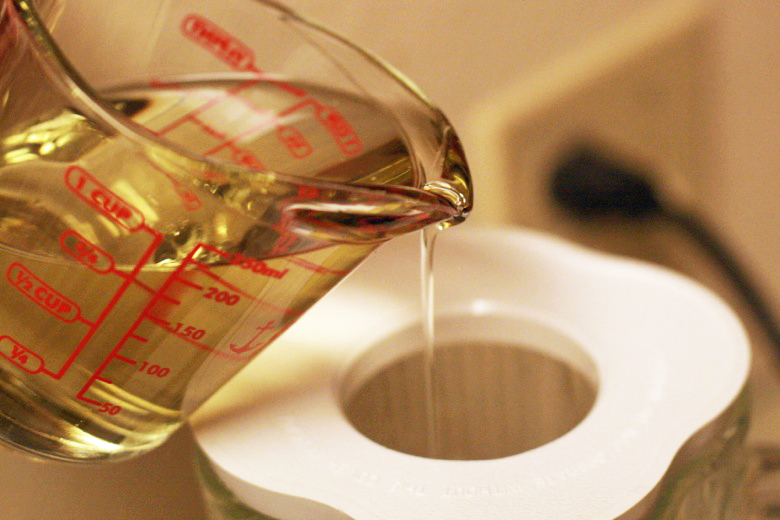 Get ready with your measuring cup of oil. 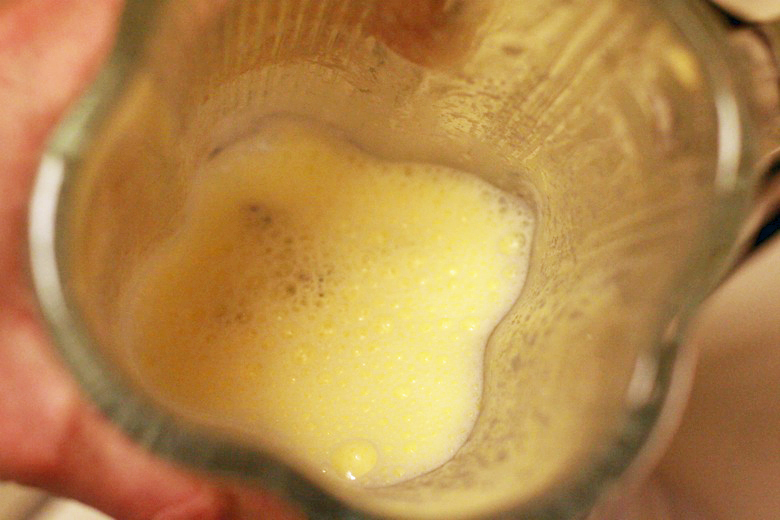 2) Blend on low speed for 2-3 seconds (the liquid and yolk will get frothy quickly). Start drizzling the olive oil through the hole in the top of the blender as it blends, as slow as you can without breaking the stream. 3) After 2 minutes or so, once all the oil has been added (you might need to turn it on high speed briefly once or twice if the mixture gets stuck, and/or add a little extra water), stop the blender and stir in all the rest of the ingredients. We've been enjoying ours on crunchy salad treats of cauliflower, crumbled bacon, and sunflower seeds. Just an idea! 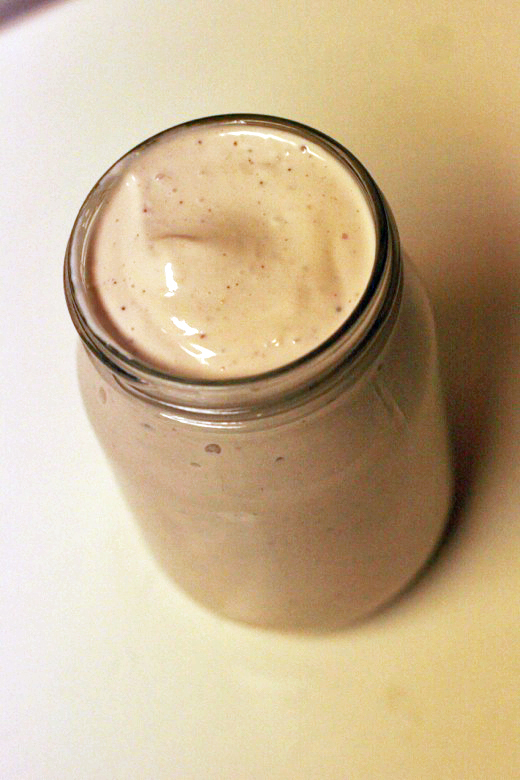 Now head over to Anktangle to check out Amy's roundup of homemade salad dressing recipes! 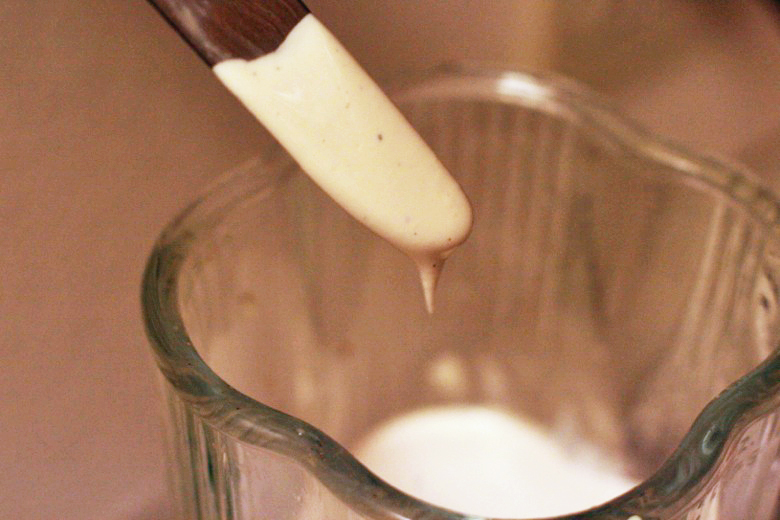 We love Caesar dressing, I've never tried making it, I will try this though. 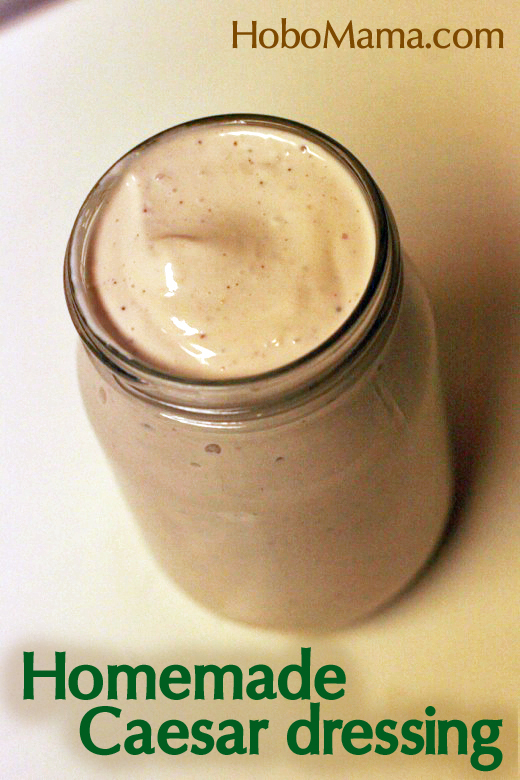 My husband is dairy intolerant, so we avoid store bought, because it often contains cream. I substitute paremesan cheese with peccorino, which is a simillar tatste/texture, but is sheep milk based, he can tolerate that.